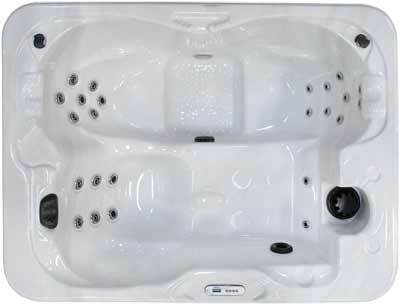 3-Person Hot Tub with 25 Jets Soak alone or bond closer with a friend or partner in your very own Patio Kona Spa. Designed with enough interior space for three, this deluxe hot tub with lounge and bench seating is intended for everyday use. Its small footprint allows for placement in small areas, indoors or outdoors, and operates using a standard Type B household outlet. Pick and choose your area and plug it in, you're now ready to enjoy a soak!